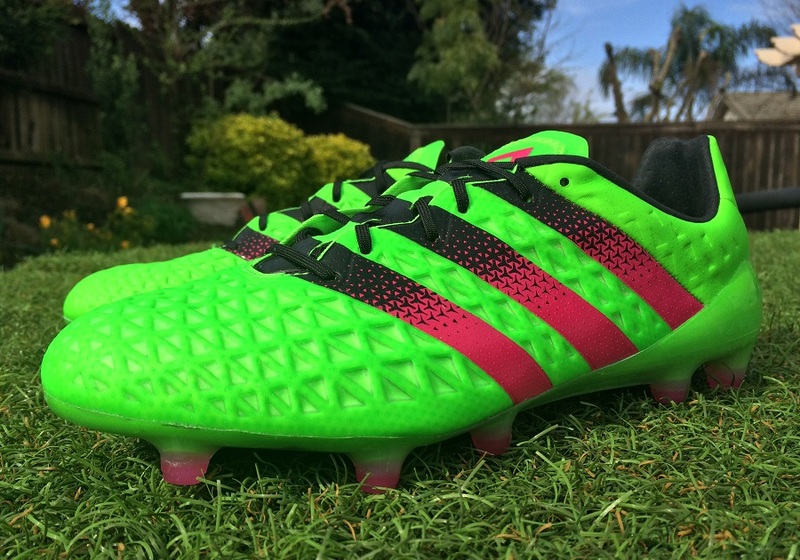 As they continue their new boot revolution, adidas has unleashed version 2.0 of their comfort focused Ace series. To be more specific, this is Ace16.1. 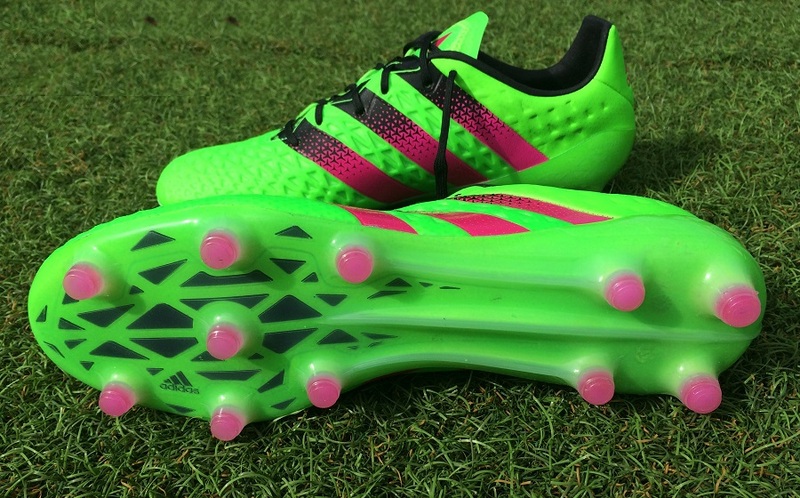 The 2015 edition was all about comfort with an accommodating fit, they featured a soleplate and traction system that easily adapted to multiple surfaces, and the upper provided a clean touch on the ball. 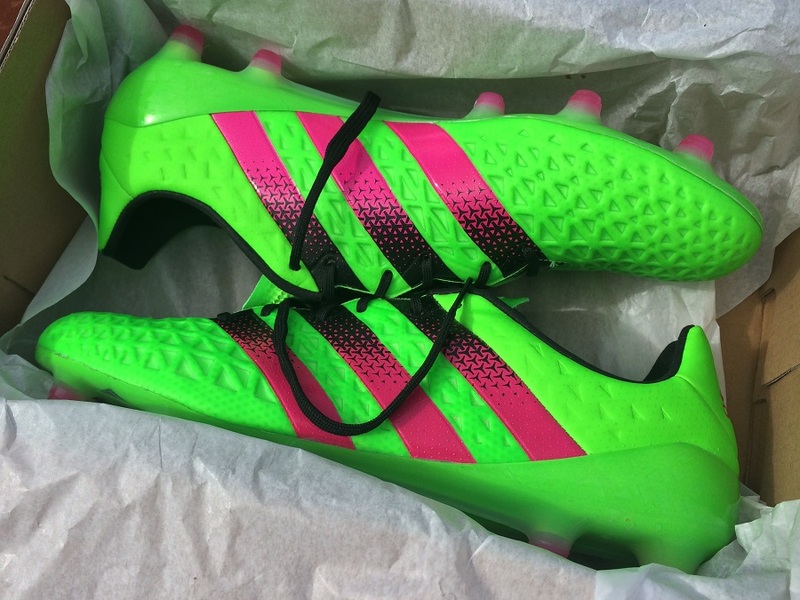 Adidas basically produced a perfectly optimized final product, and we applauded them for it. The fundamentals of the 2016 range seem to be pretty steady from the outside, but there are several significant changes that take this series in an entirely different direction. I could tell you that direction right now, but you’ll have to read below to see if it is positive or negative! Find all the current Ace16.1 colorway releases available at soccer.com. Rather than unleash Ace16.1 in a blaze of glory, adidas took a much more subdued approach with a focus on Ace16+ Primeknit instead. It actually took a few days for us to get any tech specs on the boot, and realistically it wasn’t until in hand that we got to see what they were all about. Visually, they are striking but there are obvious differences between these and Ace15 that should make testing them a little more interesting! 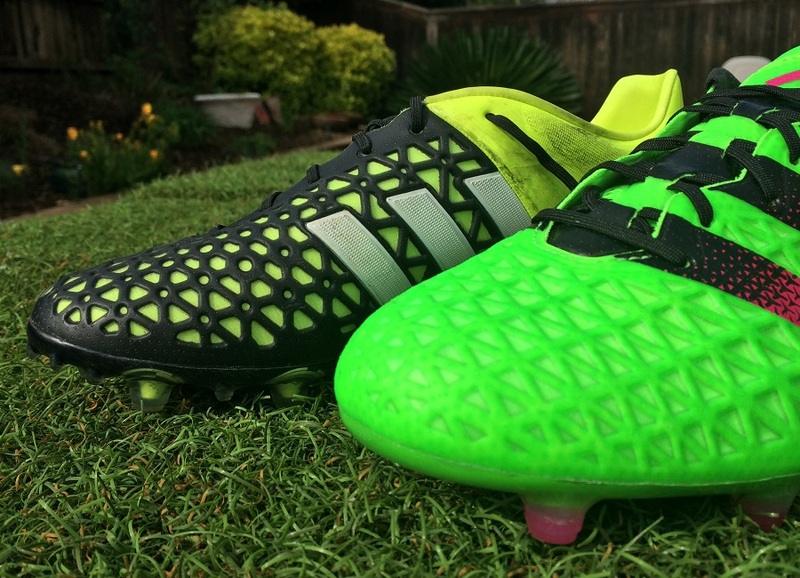 Throughout this post, you’ll find a lot of comparisons between Ace15.1 and Ace16.1. So, before really kicking into it, it will prove beneficial for you to check our Ace15.1 review. The Ace series was initially released as a playmakers boot, designed for those that like to control the game. This definitely wasn’t my favorite boot of all-time to take out of the box. There is a general stiff feel about them, with the upper comparable to more of a plastic than synthetic, and the soleplate not offering much flex starting out. It takes a few wears for the new GroundCTRL 2.0 soleplate, which sits on an updated model of the SprintFrame chassis, to really break in. Out of the box, I only spent 15 minutes in them before needing to switch. On that alone, I’d recommend easing them in through several training sessions before taking them comfortably into games. Less of a problem but still important to note is that the upper is also a toughie to break in. Adidas has looked at ways to decrease the overall weight of the boot, and with that comes a new upper material that features a lot more definition minus the ability to flex naturally. To the touch, it mimics more of a boot-leg synthetic material than a faux-leather synthetic. It is less buttery and more arthritic, something you wouldn’t expect from a new release. But it is not all doom and gloom, once they ease in – which they eventually will – they are a smooth and comfortable boot without any major hotspots. The inner lining feels like a suede, keeping you locked in place without movement. So, you can at least feel some optimism about them being a competitive option over a long season. The general construction of Ace 16.1 is very sleek, almost aerodynamic. Taking a side profile view, the general shape seems idyllic for players that want something streamlined and ready for all out attack. Right around the bridge of the upper, just below the lacing system, the boot dips down right across the forefoot in graceful fashion. It is something I appreciated through wear, as you get a really dynamic feel thanks to the boot locking in around your foot. When it comes to touch and control on the ball, they are truly masterful. 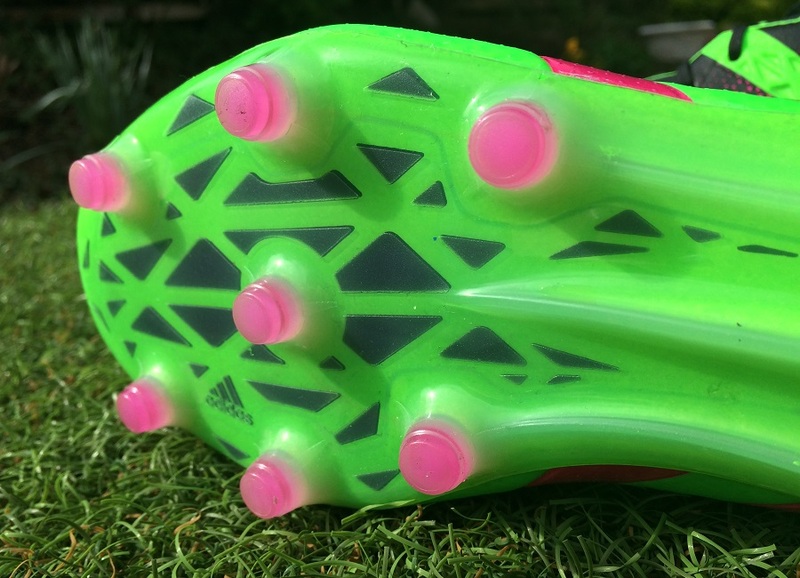 Adidas has added a redesigned 3D Control Web that seems to cover more surface space on these boots. Around the forefoot, the definition consists of triangle cutouts in a very uniform style. 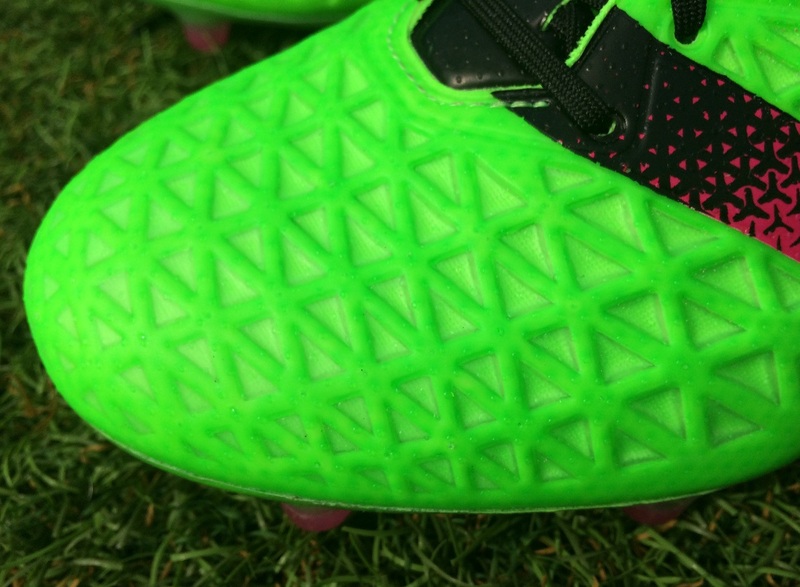 This is very different to the pattern seen on Ace 15.1. We have covered the negatives of the material and its stiff feel, but it also has some important positives. The added definition increases the surface area between the boot and ball. Add in the little grip dots that sits across the top of the material and you get great grip on the ball in useful areas. The lacing system has also been altered, moved more centrally. This opens up surface area through the strike zone, which again coupled with the more rigid material creates an area perfect for pinging Beckham like crosses and shots. There is definitely an attacking nature about them, something you can feel as you wear them. The one negative is that you really don’t get that natural feel on the ball like you’d get from wearing a leather or soft synthetic material. For some players, that could be the make or break as you don’t get that natural one touch feel. There is just too much material in the way! From a performance perspective, I’m not really sire why adidas opted to switch out the TotalControl soleplate for the GroundCTRL 2.0. 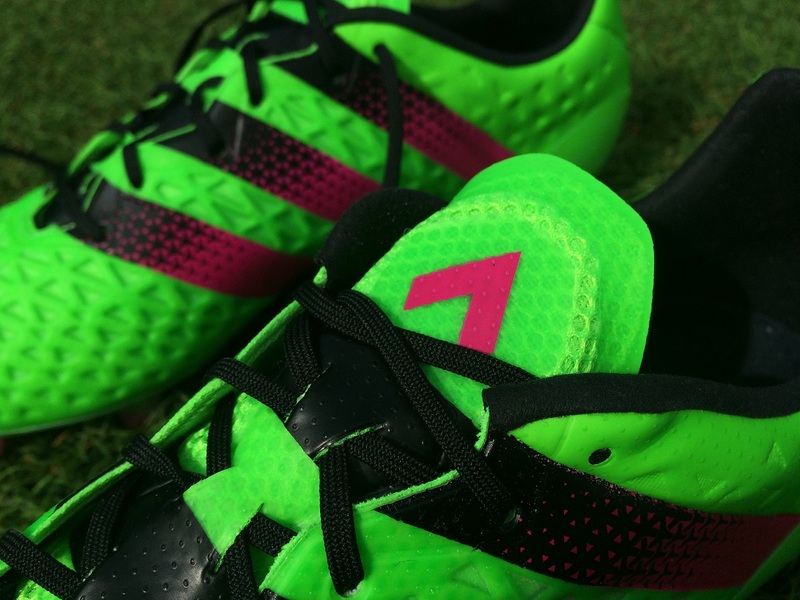 TotalControl was one of the fundamental attributes that made player experience with Ace 15.1 so enjoyable. It provided an ideal option on FG and AG surfaces, and received plenty of highly positive feedback from those wearing them. GroundCTRL 2.0 heads back toward the SprintFrame chassis, which was a feature of the F50, Predator, and Nitrocharge lines. One of the obvious reasons was to reduce the overall weight of the boot, which you can definitely distinguish from holding boot boots at once. There is an overload of weight towards the back of the original release compared to a much airy feeling 16.1. But attached to that lightness is a very stiff feel starting out, and you’ll notice that from first wear. 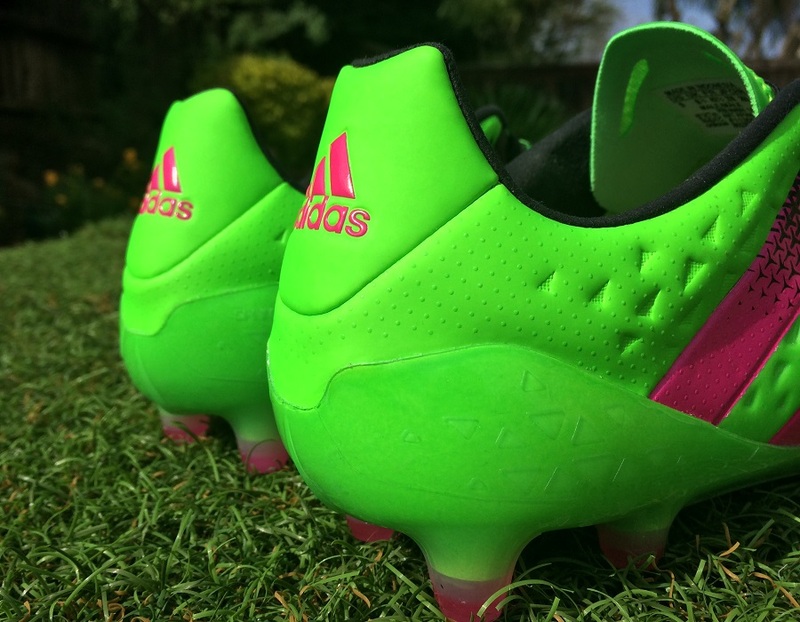 Although not as extreme, it seems to hold similar characteristics to Nitrocharge and the EnergyPulse system it used. That would be the best way I could describe it. In terms of the stud configuration and traction as a whole, things are good. You get firm footing and an evenly balanced feel through quick turns. Something that is important is the explosive feel you get while pushing off, and thanks to this sleek design, you get more of it. Something that has impressed me about these boots is how durable they have been through testing, especially for a product that weighs 7.5oz. With a little cleaning, they still look brand new, like as if just taken out of the box. The overall construction seems very solid, with the materials knitted together (not literally) in fine fashion. Given everything it has on offer, I can easily see them lasting a full season or more. There is a generally tighter fit about Ace 16.1, something that can be attributed to the more streamlined design. Right through the forefoot, the upper material curves down right and sits uni-formally across your upper foot and toes. You are immediately locked into place, with little movement through wear. In terms of size, I’d recommend them very much as a true to size option, with a medium/wide fit. If you prefer some room up around your toes, or need a wide fit, I’d avoid these. Through wear there was very little stretch in the upper material, it really mellow out or loosen up over time, so don’t expect them to adjust to your foot shape very much. There might be some wiggle room, but if you feel that they are tight from first wear, you might be better off looking for other options. A change in lacing system from offset (15.1) to central (16.1). Much more defined upper control region, including the depth of each cut. Updated soleplate from TotalControl (15.1) to GroundCTRL 2.0 (16.1). A drop in weight from 9oz (15.1) to 7.5oz (16.1), most of which is in the soleplate. If the most important question you want answered from this review is “should I choose Ace 15 or Ace16?” In my opinion, it has to be Ace15. It seems that all the time adidas put into creating Ace15 was somewhat put to the side as they looked to develop Ace16. If you can find a good deal on Ace15.1, head that direction. In retrospect, I’m really not surprised with the overall performance of Ace 16.1. Adidas definitely hasn’t pushed the boundaries on these and I feel like the modifications they did make were not for the best. 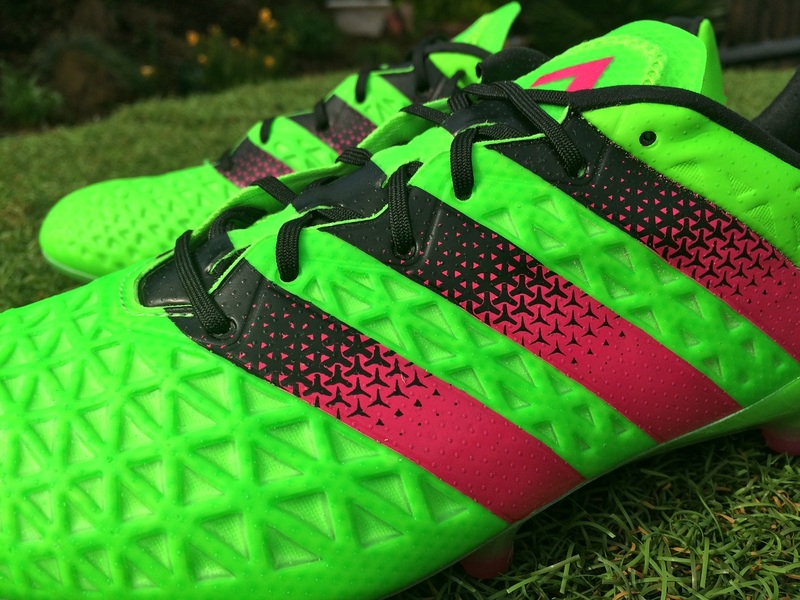 PURECONTROL and Primeknit are the primary focus of the range right now, with good reason. As harsh as I’ve been here, it is more constructive criticism, with the boot still having plenty to offer players. Just don’t go purchasing them with rose-tinted glasses just because it is adidas, expecting them to be a top performer on the market. Because they just aren’t. 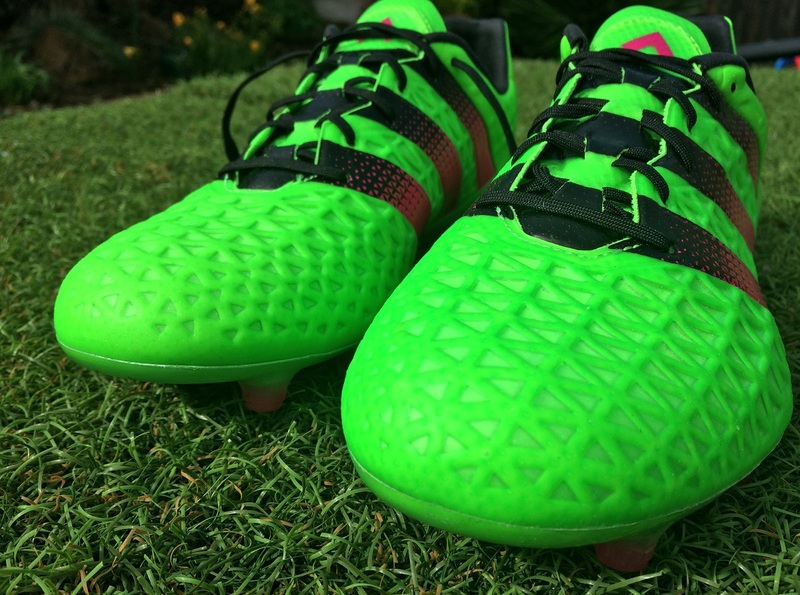 Check this Solar Green version of Ace16.1, currently available at soccer.com. 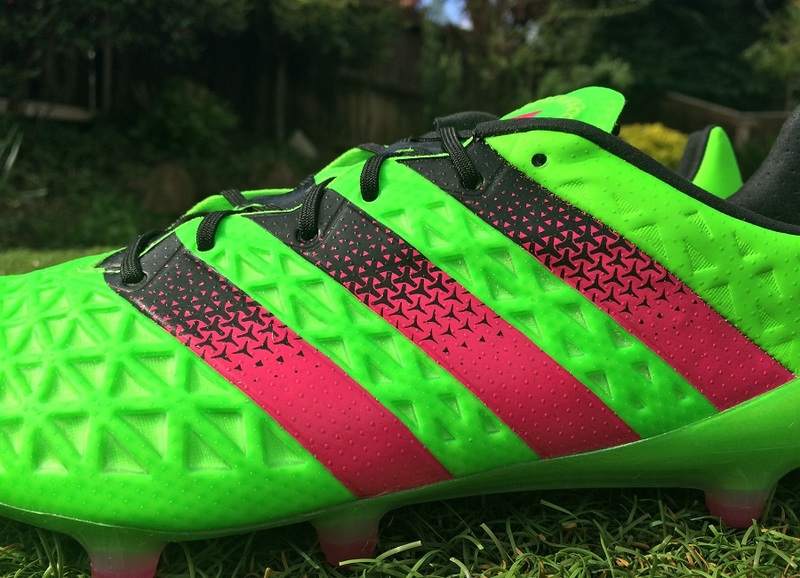 Highlight: A redesigned version of Ace, intended to continue the adidas boot revolution. Very durable for a lightweight release, with a sleek body design. Category: Control with an emphasis on being an attacking option. Would I Buy Them: They are sure to suit some players, but I’m not oneof them. I’d choose Ace15.1 over Ace16.1. Player Position: Even with all the attack focused marketing, these easily suit as a more universal option for players across the pitch. They offer protection for defenders and a fine strike zone for anyone across the middle.